As seasoned denizens of the libertarian blogosphere know well, libertarians and libertarianism turn up pretty frequently these days in the writings of mainstream journalists. Sometimes we get an entire article devoted to us; when we do, it's usually an attack on our ideas — most commonly, an attack that makes clear that its author hasn't done his or her homework and doesn't know what he or she is talking about. More often, we only get brief references in articles about subjects of more general interest. And now and then, those brief references touch on aspects of the libertarian tradition. Here are two such cases: a pair of book reviews that ran recently in the venerable New York Times Book Review. The first, which appeared on April 17, was a review of Francis Fukuyama's new book, The Origins of Political Order. At one point, in what I'm sure he thought was just an uncontroversial aside, the reviewer, Michael Lind, made an effort to distinguish wise-and-good neoconservatives like himself and Fukuyama from those on the Right who notoriously "try to explain society in terms of Homo economicus" — you know, "libertarians like Friedrich Hayek." Unlike these deluded folk, Lind explained, Fukuyama "says that a strong and capable state has always been a precondition for a flourishing capitalist economy." The problem, of course, is that Hayek says the same thing. He wants to limit that strong and capable state with regard to its permissible range of action in ways that Lind and Fukuyama probably wouldn't like, but that's another matter. And the other problem is that Hayek often criticized the notion of Homo economicus and by no means based his own understanding of the workings of society upon it. One wonders if Lind has ever actually read any Hayek. It is not uncommon, of course, to see mainstream journalists accused of not bothering to read Hayek before they sit down to write about him. Consider, for example, what happened when, three weeks after the Lind review was published, the New York Times Book Review ran another piece that contained a passing reference to libertarianism. This piece was a review of the new, "definitive" edition of The Constitution of Liberty, Volume 17 in the Collected Works of F.A. Hayek, edited by Ronald Hamowy and published by the University of Chicago Press. The review was written by none other than Francis Fukuyama himself. And it provoked comment in the libertarian blogosphere from none other than our own Jeffrey Tucker, who wrote that Fukuyama didn't give "the reader much evidence that he actually read the book. For one thing, he critiques Hayek as if Hayek was a consistent Rothbardian. Moreover, the whole burden of Hayek's book is to address the precise point that Fukuyama accuses him of neglecting (how we can know that the state will fail at planning)." On the other hand, it is rather a coup for our team, is it not, when a mainstream intellectual acknowledges, as Fukuyama did in his review, "the extraordinary breadth and depth of Hayek's erudition, and his ability to wander far beyond economics into history, philosophy, biology and other fields"? Also, it is a good thing — is it not? — when a writer of Fukuyama's stature acknowledges that, "unlike [Glenn] Beck, Hayek was a very serious thinker, and it would be too bad if the current association between the two led us to dismiss his thought." Most important of all, Fukuyama's review makes specific mention of the editor of this new edition of Hayek's book. I mentioned this editor's name about a couple of paragraphs ago: Ronald Hamowy. How many of you noticed? How many of you recognized that name? I thought so. Ronald Hamowy is a man whose name and accomplishments deserve to be better known and more widely acknowledged, especially among libertarians. He was born during the Great Depression years in Shanghai, China, the son of American parents. He grew up and got his first formal education in New York City, graduating from Stuvesant High School in the early '50s, when its student body was still exclusively male. From "Stuy" he went off to Cornell, but came back soon enough and took a job in a record shop on Times Square. It was at this point, during his brief period as a college dropout, that Hamowy fell in with what I guess you could call the "wrong crowd" (though I confess I myself would be inclined to say that he fell in with exactly the right crowd). He hooked up with his old friend George Reisman, whom he had known since junior high school, and Reisman introduced him to two new friends. One was an undergraduate at City College of New York, a native New Yorker named Ralph Raico. The other was another native New Yorker, a slightly older man, maybe 30 or so, who had a PhD in economics from Columbia but no teaching position. His name was Murray Rothbard. Rothbard was only about a decade older than Hamowy, but Hamowy was awed by Rothbard's erudition. "It soon became evident," he recalled, many years later, "how truly amazing was the depth and breadth of Murray's knowledge. He appear[ed] to have read everything and could cite the relevant bibliography on almost any topic that came up." At another point in the same memoir, delivered originally as a talk nearly a decade ago, Hamowy recalls thinking that Rothbard "seem[ed] to have totally mastered the literature in those fields in which he had an interest." Rothbard not only gave the youthful Ronald Hamowy an intellectual hero to admire and emulate, he also gave that same youthful Ronald Hamowy some useful employment. By then, after a couple of years of joining his new friends in attendance at Ludwig von Mises's famous weekly seminar at New York University, Hamowy had decided to return to his undergraduate studies, this time at City College. having had the opportunity to read and discuss a first-rate text in economic theory. One of my major subjects as an undergraduate had been economics, but I confess to have learned more economics during the six-month period I spent typing Murray's manuscript than I did during my whole undergraduate career. Speaking as the guy who is currently (July 2011) reading the second volume of Man, Economy, and State into a microphone so that it can be released in an audio version, I think I know just what Hamowy is talking about here. In 1960, Ronald Hamowy began graduate study with the Committee on Social Thought at the University of Chicago. His work was supervised and directed by a visiting Austrian professor, previously with the London School of Economics, a man in his early 60s named Friedrich August von Hayek. According to Ronald Lora and William Henry Longton, in The Conservative Press in Twentieth-Century America, it was in the fall term of 1960, Hamowy's first term as a graduate student at the University of Chicago, that his slightly older friend, Ralph Raico, another of Hayek's graduate students, "conceived the idea of starting an independent journal dedicated to promoting an open society and individual liberty." This was New Individualist Review, which published its first issue in April 1961. The masthead listed Ralph Raico as editor-in-chief and Ronald Hamowy as book review editor. By the time of the new magazine's fourth issue, which is dated Winter 1962, Hamowy had become co-editor-in-chief with Raico, a status he maintained for two years. Raico went back to his original status as editor-in-chief-all-by-himself with the issue of Autumn 1964 and remained in that position until the issue of Winter 1967, when he surrendered the reins of power and became a mere contributing editor. Meanwhile, other libertarians who would distinguish themselves in the future were moving through the magazine. Jim Powell joined the staff as an editorial assistant with the issue dated Fall 1962, became an associate editor with the issue of Spring 1965, and editor with the magazine's last issue, dated Winter 1968. David D. Friedman made his first appearance on the masthead of New Individualist Review in the Winter 1966 issue as an editorial assistant. He was still there one issue later, in Spring 1966, but he disappeared thereafter. a belligerent foreign policy likely to result in war; … a suppression of civil liberties at home; … a devotion to imperialism and to a polite form of white supremacy; … a tendency toward the union of Church and State; … the conviction that the community is superior to the individual and that historic tradition is a far better guide than reason; and … a rather lukewarm support of the free economy. They wish, in gist, to substitute one group of masters (themselves) for another. They do not desire so much to limit the State as to control it. One would tend to describe this devotion to a hierarchical, warlike statism and this fundamental opposition to human reason and individual liberty as a species of corporativism suggestive of Mussolini or Franco, but let us be content with calling it "old-time conservatism," the conservatism not of the heroic band of libertarians who founded the anti-New-Deal Right, but the traditional conservatism that has always been the enemy of true liberalism. the high intellectual quality of the articles appearing in the journal, together with a vigorous campaign to solicit manuscripts of equal scholarly merit, soon established the Review as one of the best student periodicals in the country. Over the course of the 17-issue life of the Review, some of the most respected scholars in the country appeared in its pages, including three University of Chicago economists who were later to become Nobel laureates. Although its subscription list never numbered more than 800, it included the editors of several prestigious magazines and nationally circulated newspapers, dozens of university and college libraries, and several hundred prominent academics throughout the United States and Western Europe. of the 98 articles that appeared, 52 were authored by graduate students and younger academics, while 46 were the work of established scholars, many of international repute. Nor was the journal confined to students and faculty at the University of Chicago. 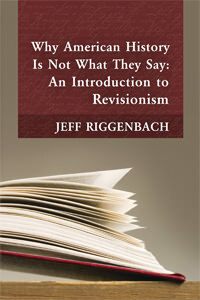 No fewer than 58 essays and reviews were contributed by scholars outside the university, among the most noteworthy being Ludwig von Mises's review of Murray Rothbard's two-volume treatise on economics [Man, Economy & State], G. Warren Nutter's analysis of the nature of Soviet planning (later reprinted in Barron's), and Murray Rothbard's essay that traced many of the policies subsequently associated with the New Deal to the programs initiated under Herbert Hoover's presidency. Milton Friedman, writing in 1981, some 13 years after the Review had ceased publication, noted that of the articles that appeared in it, most "remain timely and relevant. More important, perhaps, this student venture, despite its narrow base and its limited resources, set an intellectual standard that has not yet, I believe, been matched by any of the more recent publications in the same philosophical tradition." Ronald Hamowy and Ralph Raico were awarded their PhDs during the second half of the '60s and left libertarian journalism behind for the greener pastures presumably enjoyed by professors of history. But the lure of libertarian journalism didn't completely fade away for either of them. And so it was that they worked together again on another libertarian magazine almost 10 years after their first one, New Individualist Review, had closed up shop. Inquiry was a fortnightly like National Review, except that it was not conservative in its sympathies. It described its politics as "Jeffersonian liberal," and its regular contributors included libertarians like Murray Rothbard, Karl Hess, and Thomas Szasz, side by side with modern liberals like Nat Hentoff and Nicholas Von Hoffman. The magazine was edited by libertarians. Williamson "Bill" Evers, perhaps the most prominent of the various young Rothbardians then rising through the libertarian movement, was the original editor-in-chief. Ralph Raico took a leave of absence from his academic job to come out to San Francisco and edit Inquiry's extensive book review section. He came in as Senior Editor in the very first issue in November of 1977, and he remained Senior Editor (book review editor) until the magazine ceased publication in the summer of 1984. Also, for one year (1980) out of the nearly seven years Inquiry existed, Raico served as the magazine's publisher in addition to taking care of the "back of the book," as each issue's book review section was known. Meanwhile, Ronald Hamowy came on board in June 1979 as a "Consulting Editor." A year later, in June 1980, he became editor-in-chief of the magazine, a position he held for four months — June, July, August, and September of 1980 — to smooth the transition between the departure of outgoing editor-in-chief Bill Evers and the arrival of incoming editor-in-chief Glenn Garvin. Inquiry was published by a brand new libertarian think tank called the Cato Institute, in a frank attempt to reach out to nonauthoritarian liberals and leftists with a libertarian message packaged in a style they could understand and accept. It was, I think, the best and most professional libertarian magazine that had been published by anybody in this country in at least a quarter-century. And much of what was best about it was the work of Ronald Hamowy and Ralph Raico. Hamowy and Raico went back into academia in the '80s, where they devoted themselves to advancing the libertarian cause through teaching and scholarship. It was Hamowy's service as the editor of the new "definitive" edition of Hayek's Constitution of Liberty that touched off these ruminations in the first place. His earlier anthology of articles on drug prohibition, Dealing with Drugs: Consequences of Government Control, was commissioned and published by the Pacific Research Institute back in the days when, under its founding president, David J. Theroux, it eschewed neoconservatism and instead hewed a consistently libertarian line to the truth about current public issues. Hamowy's more recent Encyclopedia of Libertarianism has already become a standard reference for serious students of the Libertarian Tradition. 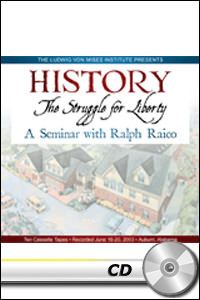 And anyone who has viewed Raico's recorded lectures on topics in intellectual and cultural history knows from direct experience what a masterful teacher can do to advance the libertarian cause. But these men weren't always teachers and scholars. Long ago in their youth, in the pre-Internet era when publications printed on paper were ever so much more important than they are now, Ronald Hamowy and Ralph Raico were sharply focused, incisive libertarian journalists. And they rank among the best who have plied that noble trade. This article is transcribed from the Libertarian Tradition podcast episode "Libertarian Journalism in the '60s, '70s, and '80s."